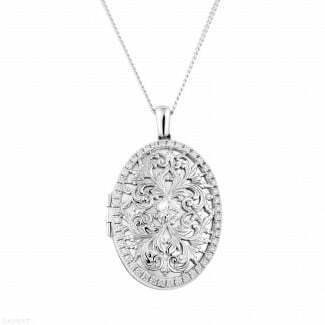 One of the centrepieces of BAUNAT’s collection is our selection of diamond lockets, designed by Wouters & Hendrix. Are you looking for the perfect gift to celebrate a birth, a christening or a birthday? 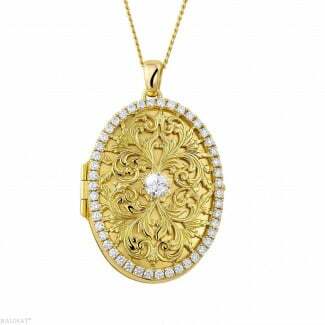 A diamond locket is the best choice. Which materials does BAUNAT use? BAUNAT hand crafts its jewellery using only the best precious metals: 18K gold (75% pure gold, alloy ‘Au750’) or platinum 950 (95% platinum, alloy ‘Pt950’). Apart from our selection of diamond lockets, we also have a wide range of matching diamond pendants or diamond necklaces. All of our lockets are handmade and under the watchful eye of our experts, only the most high quality metals and diamonds are used. Are you hesitating about which jewel is perfect for you? Let yourself be inspired by our collection of high jewellery. And if you still can’t find what you are looking for, you can opt for a tailor made locket. Our experts will gladly assist you in the process, from rough draft to finished project. 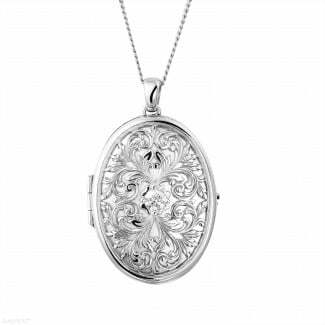 Can I purchase my locket online? You can consult BAUNAT’s complete collection online. If you are confident in your choice, you can easily buy the jewel of your dreams online. On top of the free shipping of your order, we also offer all of our clients a 30 day return policy. If your purchase does not meet your expectations, you can exchange it hassle-free. Would you rather see the locket in person beforehand? Book an appointment and visit one of our specialized showrooms.